The East Coast Railway has decided to start Garib Rath Weekly Express Special trains between Puri and Bangalore to handle the extra rush of passengers, as per the following timings, stoppages and composition, according to a Railway press release. Train No 08469 Puri-Bangalore City Garib Rath Weekly Express Special will depart Puri at 2.30 pm on Friday, from September 16 to December 30 and arrive at Bangalore City at 10.45 pm the next day. On its return, Train No 08470 Bangalore City-Puri Garib Rath Weekly Express Special will depart Bangalore City at 11.55 pm on Saturday, from September 17 to December 31, and arrive at Puri at 5.50 am on Monday. Enroute, the special train will stop at Khurda Road, Balugaon, Brahampur, Palasa, Srikakulam Road, Vizianagaram, Visakhapatnam, Duvvada, Vijayawada, Guntur, Donakonda, Markapur, Nandyal, Dronachallam, Dharmavaram, Sri Satyasai Prashanti Nilayam, Hindupur, Yelahanka, and at Bangalore Cantonment. 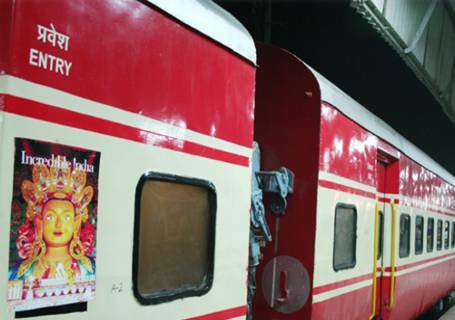 The Garib Rath Weekly Express Special Train has a total of 17 coaches, comprising 15 AC 3-tier coaches and two motor cars.